The man behind Peter Molydeux the hilarious parody Twitter account that skewers Fable developer Peter Molyneux, explains why Twitter has suspended his account. 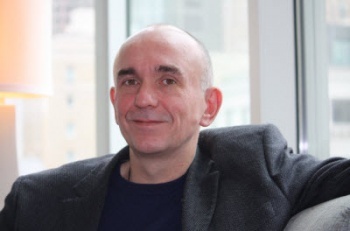 @petermolydeux, for those who missed our earlier coverage, was an affectionate, if occasionally cruel, parody of errant creative visionary Peter Molyneux. It was maintained by an actual game developer, a 3D environment artist who has, apparently, worked on a total of 15 games from several studios. I use "was" in this case, because Twitter suspended the account earlier this week. "I've been in discussion with a few people at Lionhead," said the developer. "Their general thoughts regarding the account seem to be positive, but it's looking like they want me to change the use of the logo in the videos I've created, and to make it even more clear in my bio that the account is fake." At this point you may be tempted to start banging your head on the table, because "that's not how parody works", but to be fair, the internet is full of shambling, barely-coherent morons, and it turns out Lionhead has been receiving actual inquires about the faux concept video for Peter Molydeux's (note the 'D') Cascore. Cascore in case you weren't paying attention, was a survival-horror bowling game. The concept video has been removed from Youtube. Honestly, the idea that at least some of the account's fifteen thousand followers weren't in on the joke, and took tweets like "You know, my dream for gaming is where in one you'll shoot someone and then during a game of say Fifa you'll see their son crying" at face value fills me haughty mirth. "It highlights just how insane the thought of any of this being real actually is", said the developer. The developer is willing to make the changes demanded by Lionhead as soon as Twitter reopens his account. "I just wish Lionhead had got in touch with me first so this mess could have been avoided," he added.